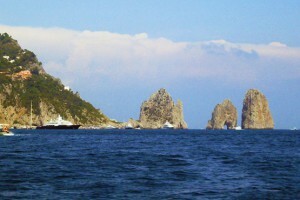 We organize excursions from and to Sorrento, for privates and groups. Our Guide Center offers official tour guides licensed by Campania Region planning Excursions and Tours in Sorrento, the land of the Sirens, with exclusive services all fully customizable. Visit these beautiful places by land, sea or air, with a car, a minivan, a bus or a boat. Our purpose is to provide each customer with a personalized service with the highest quality and professionalism. Choose among our excursions the most suitable to you, decide whether to take advantage of our car driver service or a licensed tour guide or, for a perfect excursion, choose both! We are also at your disposal to advise you on the best restaurants, to enjoy the best of our local cuisine. What are you waiting for? Let yourself be guided to unique destinations, with breathtaking views and centuries-old history! We offer special packages and services for Travel Agents that wish to become our partners. 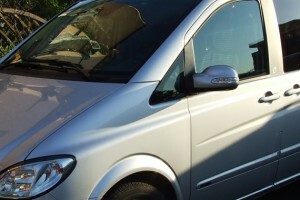 Reliable and professional limousine service, on board of full optional Mercedes van and car, suitable to all your needs. We provide a lasting partnership with the travel agent, in accordance with the customer fulfilling any expectations. Why Choose Us? 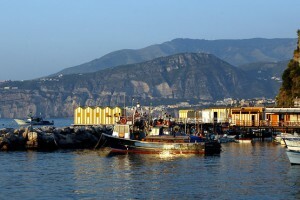 6 good reasons to choose Guide Sorrento! Guide Sorrento has official and authorized tourist guides, which means they have the advantage of taking the preferred lane in order to avoid long waits. We recommend pre-organized tours, however, flexibility is our strong point, so do not hesitate to contact us for your own personalized tour! Thanks to Guide Sorrento you will be able to enjoy the places you want to see and where to eat according to your preferences, while we help you stay on schedule. With Guide Sorrento it is worth not having a middleman! This means that there are no intermediates, to make our prices go up. Therefore, if you are a private or part of an agency, do not hesitate to contact us. You will be astonished by the conveniences and admire our competent guides. With Guide Sorrento you will be able to share a shore excursion with other interested people. This will reduce the price significantly, an advantage that you will not find with another tour! The excursions of Guide Sorrento are unique, personalized and likeable. We can quickly identify who you are and and what type of tour is best suited for you. For example, for the school tours, we make them a lot more entertaining in order to maintain the childrens' attention. Our personalized tour does not only mean the tour itself but we also choose the appropriate guide for the specific group. This personalization can also permit you to take advantage of our other services, such as the helicopter tours. You may also share this tour with others.